How gun Silencers Work - Buy a Silencer Online Easily and Legally. Gun Silencers (or sound suppressors) are actually very simple in how they work. Basically they allow the rapid expansion of gas inside a contained unit as opposed to the “explosion” occurring in the open air. The technology is essentially the same that is used in automobile mufflers. Since the primary source of noise is muzzle blast, containing this noise reduces or “suppresses” the bulk of the explosion that we hear. 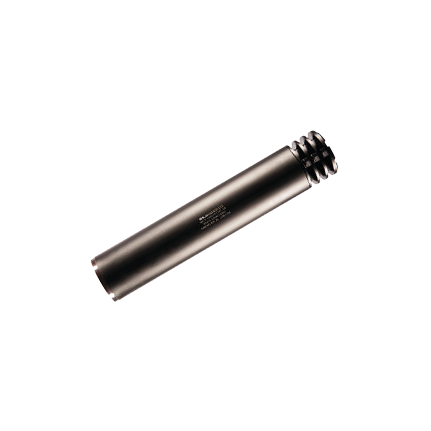 Most suppressors use a series of baffles to contain the blast, and manufactures use a variety of angles, port dimensions and other internal configurations to accomplish the containment. You can further reduce the noise by using subsonic ammunition that slows the velocity of the round to less than 1,150 feet per second, thereby eliminating the sonic boom that is created when a round breaks the sound barrier. Most suppressors lower your firearms noise level around 20 -40 decibels. This is almost always enough to mitigate the need for ear protection. Popular Gun Silencer Manufacturers include SilencerCo, Yankee Hill Machine, Advanced Armament Corp, Griffin Armament, Dead Air Armament, Sig Sauer, Surefire, Gemtech, Liberty Suppressors and many more! FIND THEM ALL HERE. Silencers are available for Rifles, Pistols, Rimfire and even Shotguns! A rifle silencer is a MUST for anyone who spends lots of time at the range testing rifle builds, sighting in or target practice. We all know how painfully loud rifle calibers like .223/5.56, .308/7.62, 7.62×39, etc can be. Even with muffs on, it gets irritating. Well, imagine being able to unpack the rifle, set it up on the bench, sit down on the stool, open up an ice cold beverage and pop some rounds off without wearing sweaty ear muffs, or uncomfortable plugs. Imagine having a conversation with your range buddy next to you, while you’re both shooting. This is possible by suppressing your rifle with one of the many quality rifle silencers on the market today. Of all the silencer categories, rifle silencers have, by far, the most diverse suite of offerings by several good manufacturers. The most common rifle suppressor is a 7.62, or .30 cal suppressor. A 30 cal suppressor will suppress almost anything smaller than a .300 Win Mag. For most people, one .30 cal rifle silencer will work for their entire line-up of rifles, except for big bore .338’s and the like. However, with the increased popularity of AR15’s and other MSR’s chambered in .223 or 5.56NATO, there is also a diverse offering of great 5.56 silencers which maximize suppression of that particular caliber. Most Rifle silencers are welded or otherwise sealed closed. They really do not need to be cleaned, as the high velocity in which the bullets are passing through keep the internals fairly clean and free of debris and carbon build up. 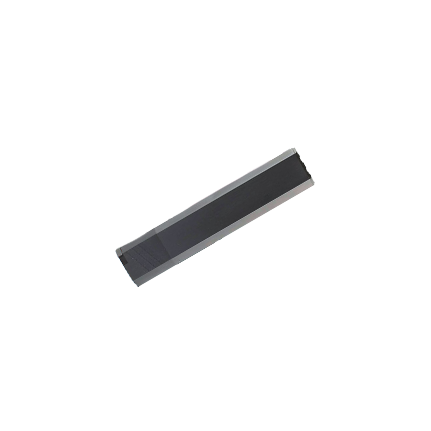 Most are constructed entirely or a combination of Stainless Steel, Titanium, Hoplon, Inconel. They typically weigh between 15-25 ounces and are 6-12 inches long. Prices for rifle silencers are going to be $400-$2000. Some Centerfire Pistol Silencers come apart for cleaning, but not all of them. The Silencerco Osprey shown on a Glock above, for example, does not. However, when they do come apart, the process is essentially the same as rimfire silencers – Exterior tube, mono-core or stacked baffles, etc. Pistol Silencers are usually lightweight, between 10-15 ounces, and fairly compact at around 8-10 inches. Diameter usually comes in at around 2 inches. While not as quiet as the smaller rimfire silencers, they are still amazingly effective for sound, recoil and signature reduction. .45ACP is definitely the best caliber to suppress, as regular .45ACP loads are always subsonic, and therefore no sonic crack is heard, leaving only the suppressed explosion inside of the can, which is pretty quiet. These are a bit louder than rimfire silencers, but still very comfortable without ear protection. 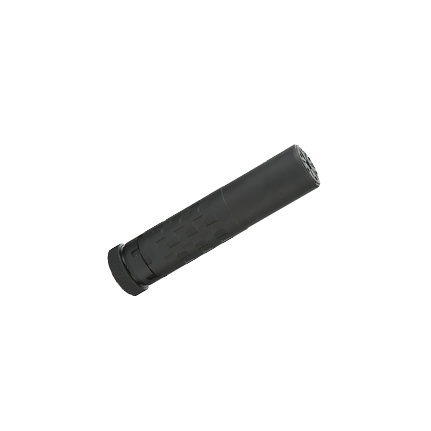 While there are many good 9mm silencers on the market, and they are the best option for dedicated 9mm use, many customers purchase only the .45 silencer as you are able to shoot sub calibers out of it. Anything smaller than a .45 and bigger than a .380 will work just fine out of a .45 silencer. For customers that want maximum performance on a particular caliber though, we do recommend buying a silencer in that caliber. Pistol Silencer usually cost between $400-800. This is a typical Rimfire Silencer. Usually rimfire silencers come apart into two or more pieces – the exterior tube, and the baffles (usually stainless steel, aluminum, or in more expensive silencers, titanium). Some rimfire silencers use a mono-core (one piece) baffle system, and some use a stacked baffle system (between 4-8 individual, stacked pieces). Rimfire silencers are usually very light and compact, between 4-10 ounces, 5-8 inches in length, and 1-1.5 inches in diameter. Rimfire silencers are undeniably the quietest silencers of all, often reducing the sound of a fired round to “movie-theater” quiet levels! While standard and high velocity .22 loads are still very quiet suppressed, best results are achieved by using sub-sonic ammunition – this will yield a sound level comparable to a pellet gun. Lastly, rimfire silencers are quite inexpensive compared to other silencers, usually between $150-$450. Silencers are also available for big bore rifles such as .338 Win Mag and Lapua, .50 BMG and Beowulf, as well as Shotguns. Wait, did you just say Shotguns? Yep – Thanks to the geniuses at SilencerCo, we now have the Salvo 12. The Salvo 12 is the first commercially available shotgun silencer, and they clearly took their time with the design of this thing. It mounts to just about any shotgun using their choke mount system and the silencer itself is even modular allowing the user to adjust the length for different applications and sound reduction requirements.